Story Contractin g picked up two Network Rail Awards in recognition of the business’s operation, investment and commitment to improving our it’s plant fleet. 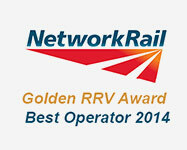 two Golden RRV Awards. One recognised the Plant business as the country’s ‘Most Improved’ supplier to Network Rail and credited the significant investment and improved operation in the plant and machinery acquired from Caledonian Industrial last year, based at our site in Bonnyrigg, near Edinburgh. Story Contracting also went on to win ‘Best Operator’ from Network Rail reflecting our ongoing drive to improve plant reliability and provide industry-leading plant and machinery services. 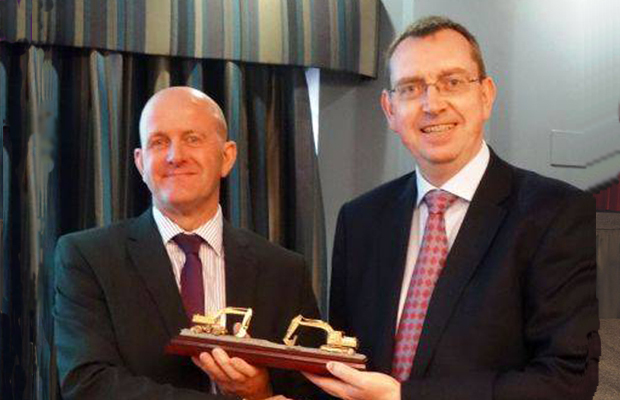 “These coveted awards are the only two awarded each year by Network Rail so pick up both in the same year is huge recognition for our plant team. The stellar work and elbow grease our team has put into the transformation of our Bonnyrigg depot is a fantastic achievement.